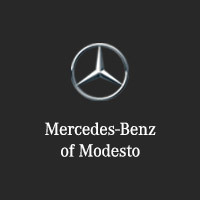 Mercedes-Benz of Modesto, along with Mercedes-Benz USA are proud partners of the Johnny Mac Soldiers Fund. The money raised by the Johnny Mac Soldiers Fund goes toward helping eligible military children pay for college through scholarships and other kinds of assistance. While raising awareness about the difficulties military families face, particularly when a loved one is killed in action, we’re also putting our money where our mouth is and helping these children move forward with their lives. Members of the armed forces and their familial support systems ask for so little, yet we owe them so much. Making donations toward this scholarship and awareness fun with each Mercedes-Benz vehicle sold helps us offer a small token of our appreciation, and hopefully it lets more people understand the sacrifices that are made in order to preserve our freedom. This great foundation Mercedes-Benz partners with, the Johnny Mac Soldiers Fund, is named after Col. John McHugh, a 24-year member of the U.S. Army who was killed in action on May 18, 2010 in Kabul, Afghanistan. Members of his West Point class joined together to raise money from McHugh’s five children so they could get the college education they deserved. Since that time, the fund has grown to help children from all over. Since 2014, the fund has raised nearly $3.5 million for more than 400 scholarships, and has done so very efficiently for a non-profit. For every dollar raised by the fund, 94 cents is designated specifically for the kids’ scholarships. We have Johnny Mac Soldiers Fund brochures here at Mercedes-Benz of Modesto so come over today to learn about this great effort. For every Mercedes-Benz vehicle sold in the U.S. this year, Mercedes-Benz will make a donation to the Johnny Mac Soldiers Fund, which helps provide eligible military children with college scholarships and other college assistance.